With stage 10, ASO is bringing professional cycling back toward its roots — and onto dirt. The route will tackle the kind of unsurfaced road that the peloton would have raced on in pre-war times. The last time the Tour faced a mountain road of this type was in 1987, during stage 20 between Villard-de-Lans and Alpe d’Huez. Frenchman Denis Roux led over the Col du Coq, where the final 300 meters were unpaved. This year, the Plateau de Glières climb will follow the Col de la Croix Fry. Coming the day after the first rest day, the tough six-kilometer ascent, averaging 11 percent, will bring some surprises, especially the unsurfaced section that extends for 1.8 kilometers beyond the summit. “Team leaders will have to have lots of support around them in case of punctures,” warns route director Thierry Gouvenou. 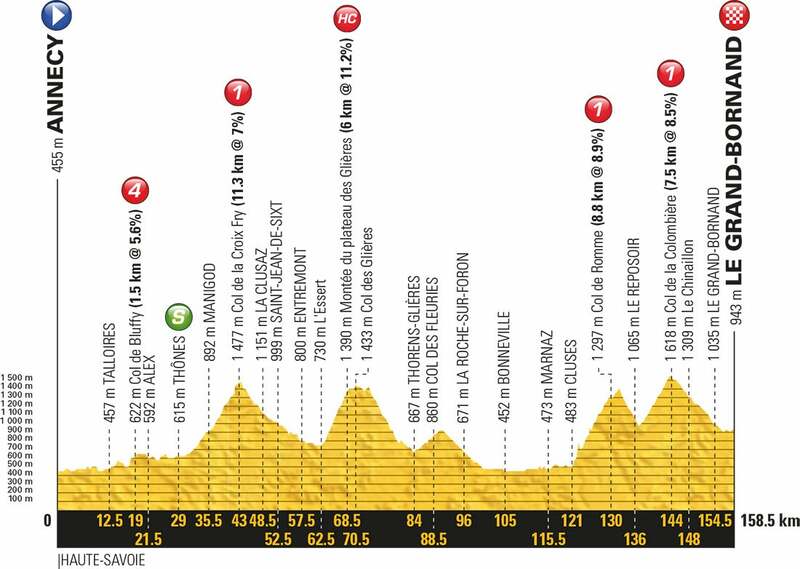 The section across the Plateau de Glières, which lies at 1,390 meters above sea level, comes 68.5 kilometers into stage 10. Since the stage is 159 kilometers in total, the unsurfaced section isn’t likely to have a decisive impact on the general classification. 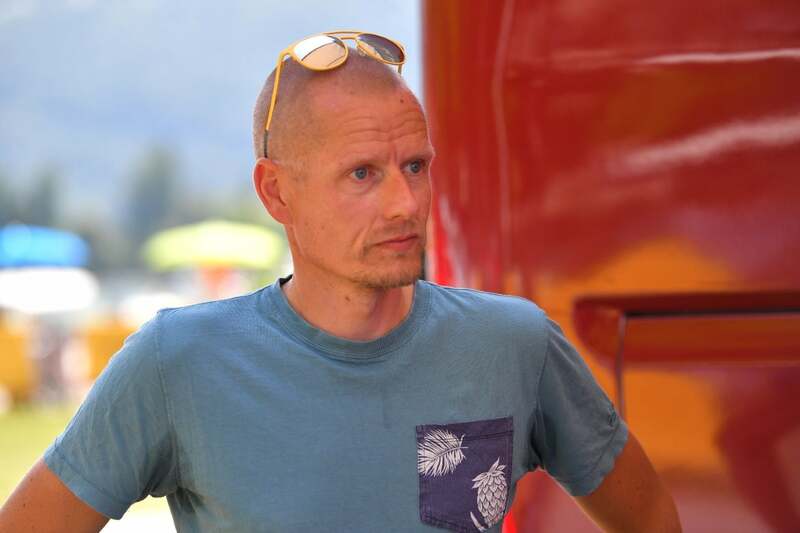 Certainly, it should have far less impact than the passes that follow it, the Romme and the Colombière, which are more obvious tests before the riders plummet into Le Grand-Bornand. 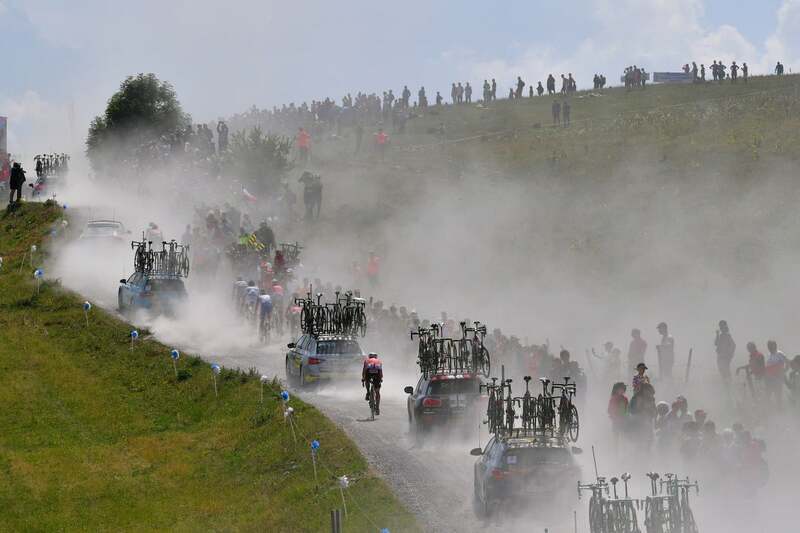 This sequence of climbs, which has only featured on one occasion in previous Tour history, produced a huge spectacle in 2009, when Fränk Schleck claimed the stage. 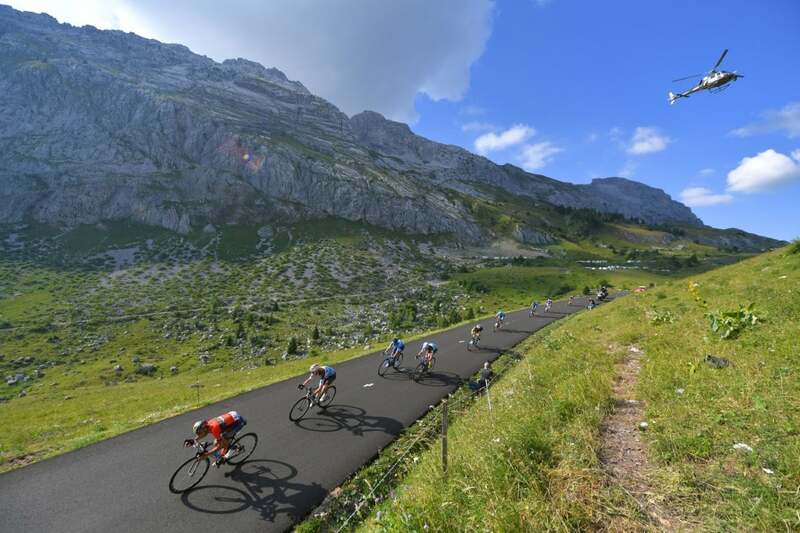 The impetus for the introduction of Plateau des Glières to the Tour route is, however, not only driven by sporting considerations. “We are going there with a focus on history as much as sport and aesthetics,” says Tour director Christian Prudhomme. In March 1944, 463 Resistance fighters took refuge on the Plateau de Glières, in the heart of Haute-Savoie’s Bornes massif. Surrounded by 5,000 German soldiers and members of the Vichy militia, 121 were killed. It has been the site of the National Monument to the Resistance since 2003. Today a monumental sculpture resides at the spot — 15 meters high and 21 meters wide, it depicts the sun resting in a hand. 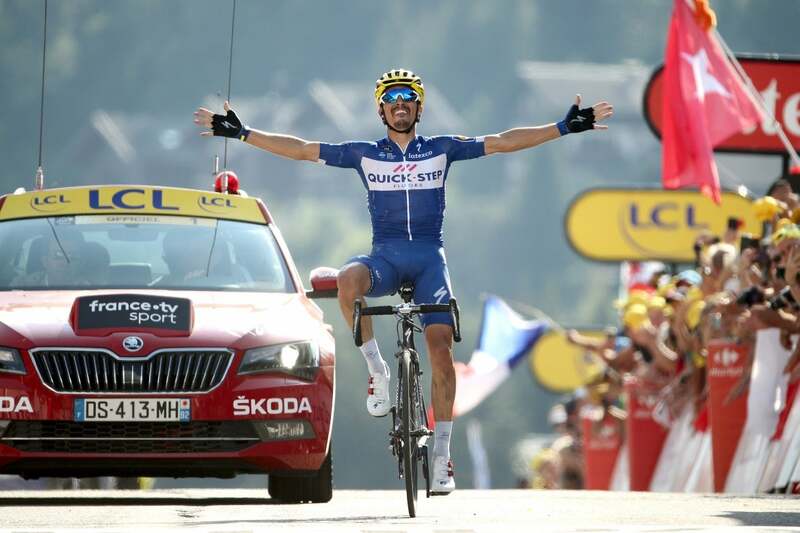 After tirelessly animating the day’s breakaway, Julian Alaphilippe was rewarded with his first career stage win at the Tour de France in stage 10 Tuesday. 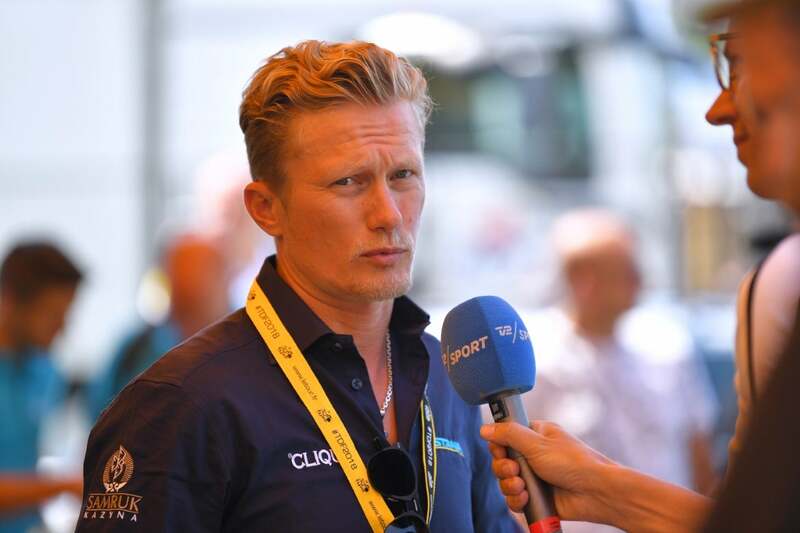 Quick-Step’s Frenchman was disappointed to miss out on a chance to win stage 6 atop the short Mur de Bretagne climb, a finale that would ordinarily suit him. 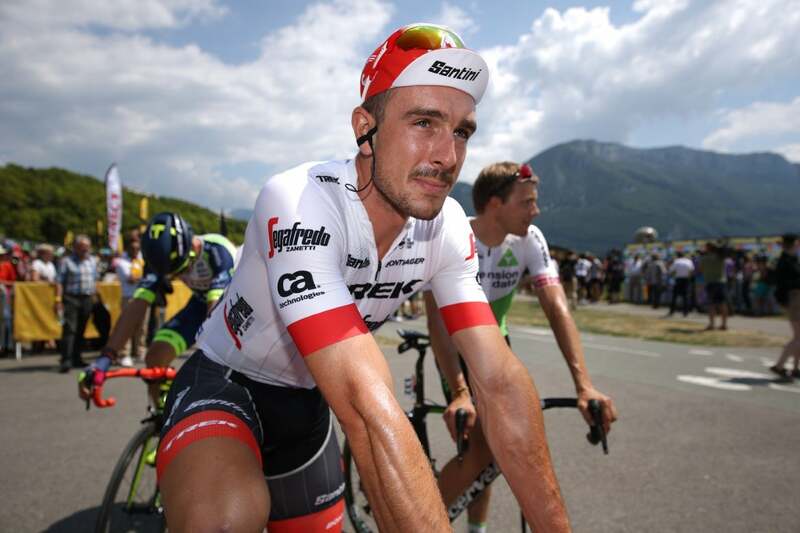 He got redemption in Le Grand-Bornand after 158.5 kilometers of mountainous racing, with Ion Izagirre (Bahrain-Merida) second and Rein Taaramae (Direct Energie) third. Alaphilippe was joined by one of his fellow classics specialists in the day’s big breakaway, Greg Van Avermaet (BMC). 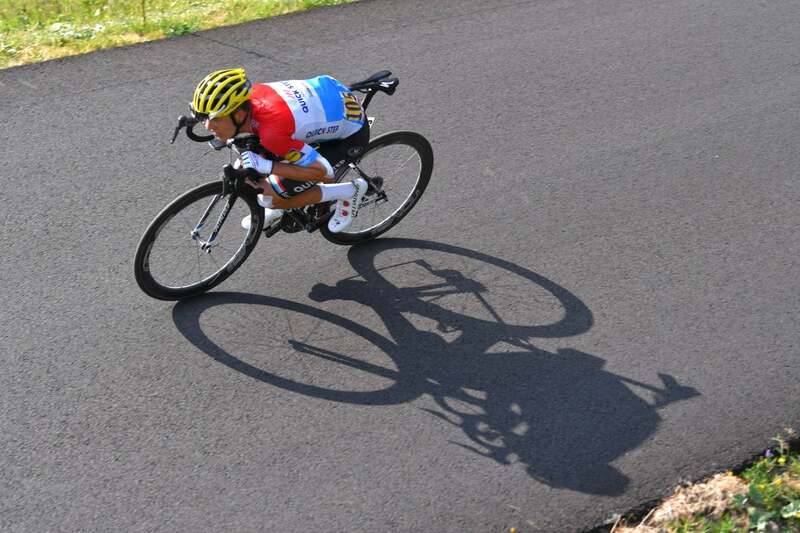 The Belgian went off the front with the early move to preserve his yellow jersey. He did that and then some. With a fourth-place finish, Van Avermaet extended his overall lead to 2:22 over Geraint Thomas (Team Sky). 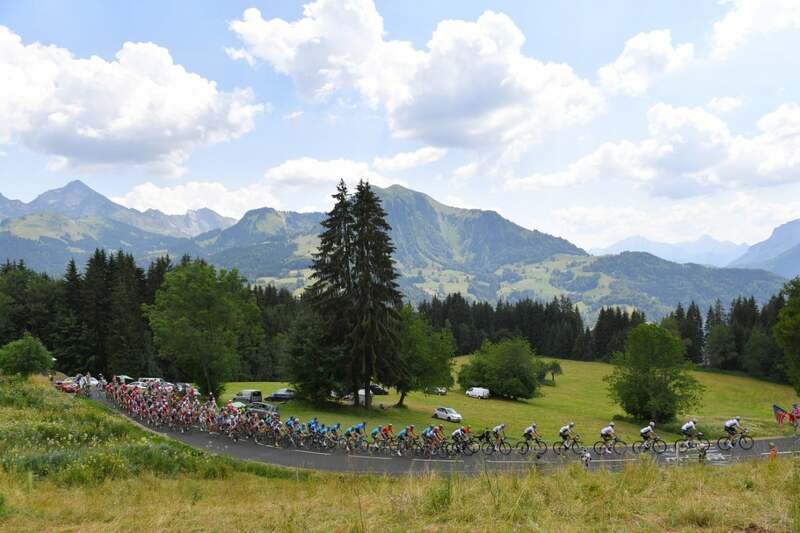 On the Tour’s first trip into the Alps, lots of riders were clamoring to get in the day’s breakaway. However, it was a bit unusual to see the yellow jersey make the move of about 21 riders early in the day. The GC outfits seemed content to let the Olympic champion ride away. 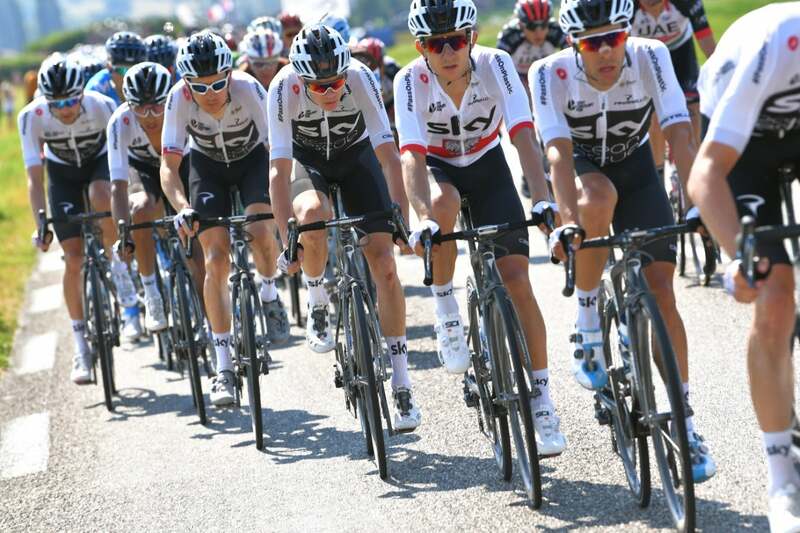 Team Sky set a steady tempo on the front of the peloton. Over the first big climb, the Cat. 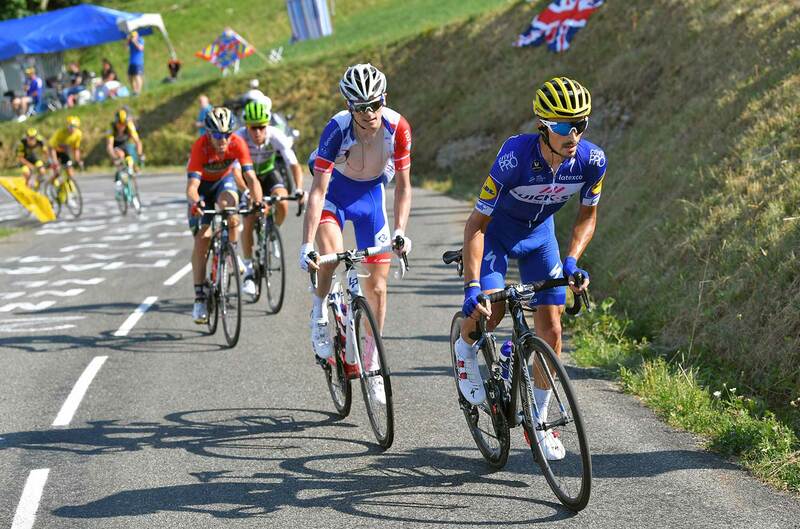 1 Col de la Croix Fry, Rudy Molard (FDJ) and Taaramae attacked. They were brought back in time for the next challenge, Plateau de Glières, which was hors categorie. 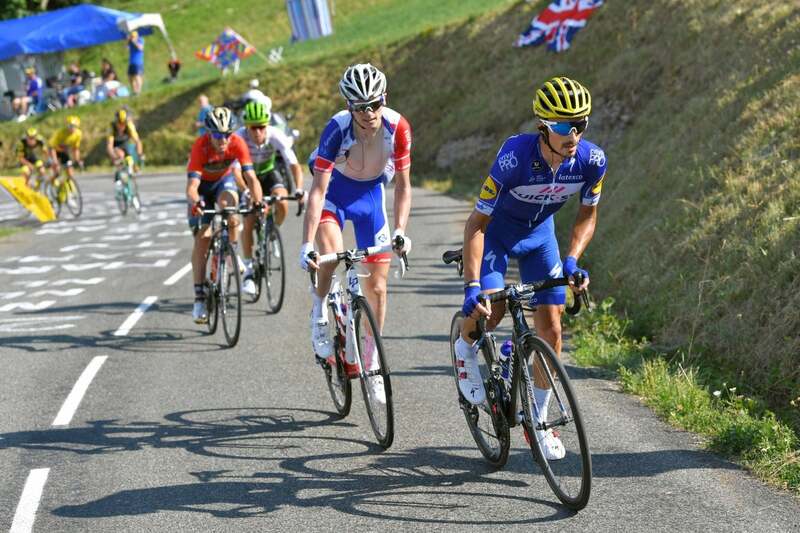 When the 13-rider break reached the dirt on this steep climb, averaging 11.2 percent, Alaphilippe first indicated his intentions, attacking alone. The Van Avermaet group managed Alaphilippe’s move and brought him back with a long valley before Col de Romme. On this penultimate climb, Taaramae again went off the front, and this time it looked like his move might stick. 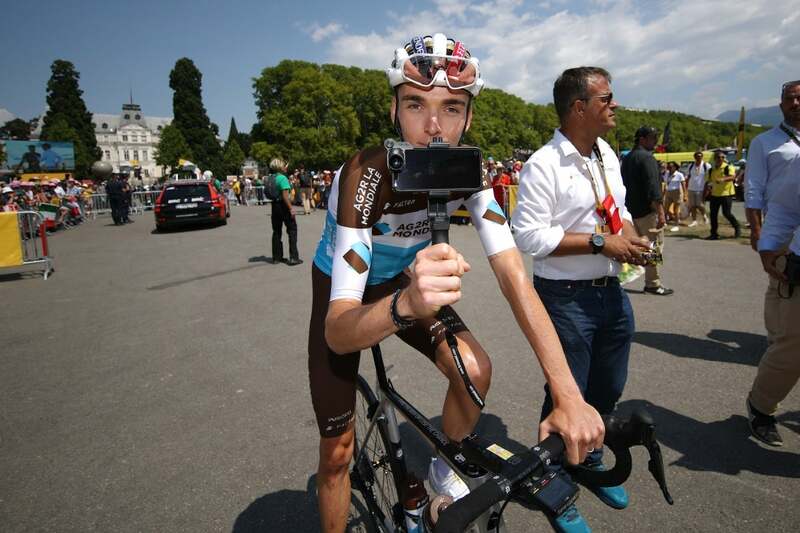 Warren Barguil (Fortuneo-Samsic) tried to ride across the gap and failed. 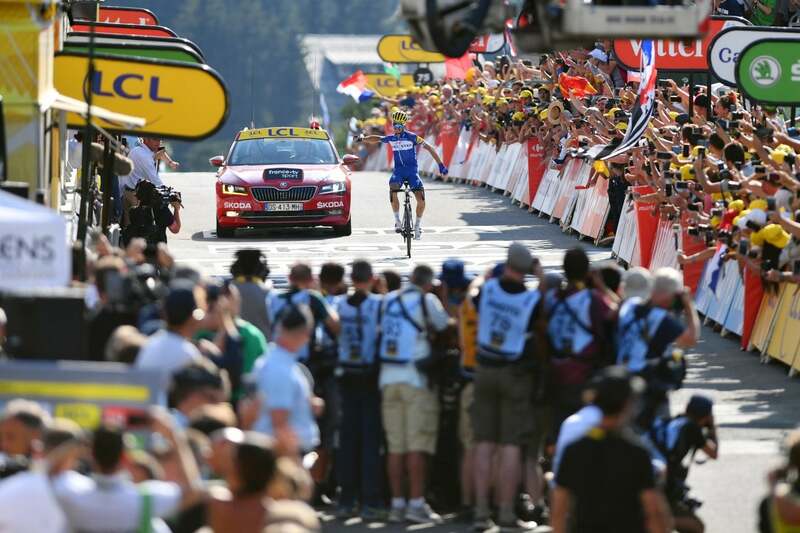 But then, about 30 kilometers from the finish, Alaphilippe jumped again. He rode across the gap to the Estonian and soon dispatched Taaramae in the final 500 meters of the Cat. 1 climb. Although Taaramae briefly rejoined the Frenchman, he couldn’t keep up on the sinuous descent. 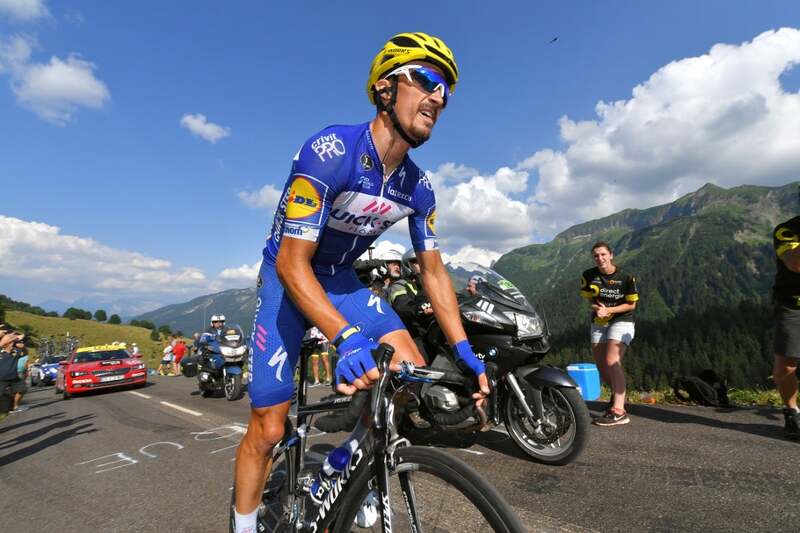 Alaphilippe rode up and over the Col de la Colombière and took a solo victory. 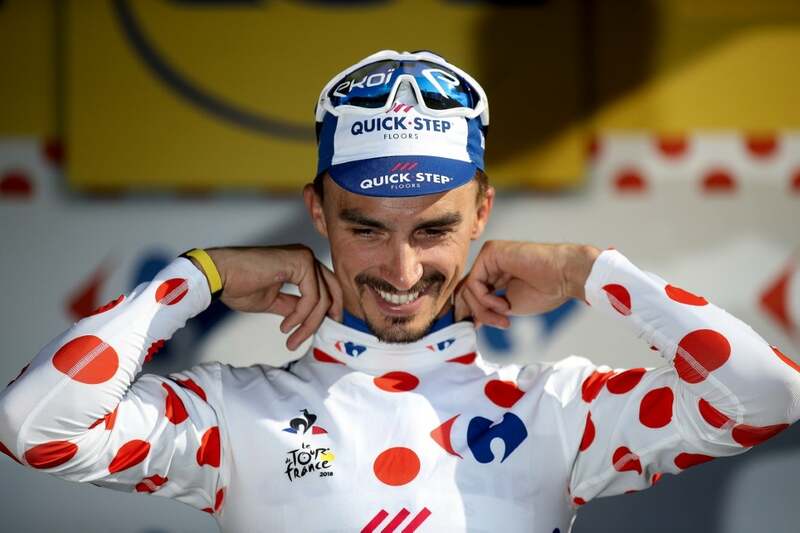 “I’m happy the last 10 kilometers was downhill because it gave me the chance to understand what was happening to me,” Alaphilippe added. 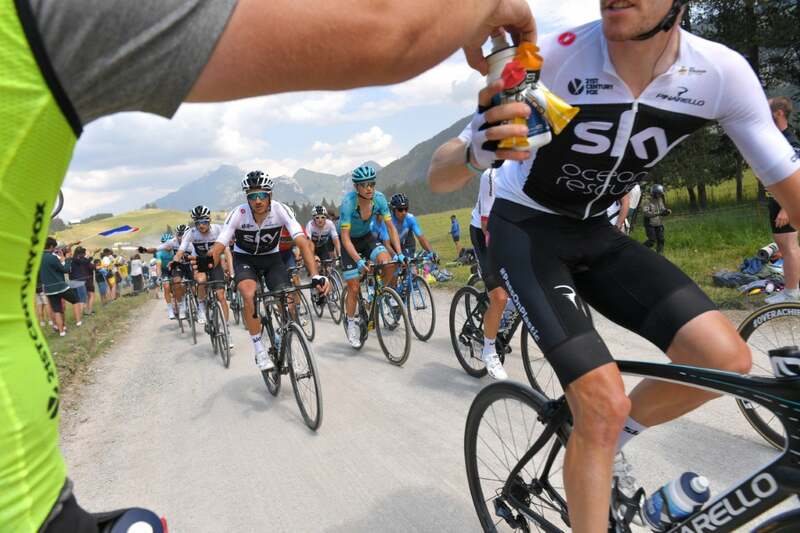 Behind, in the main group led by Team Sky, most of the GC favorites were content to keep their powder dry. 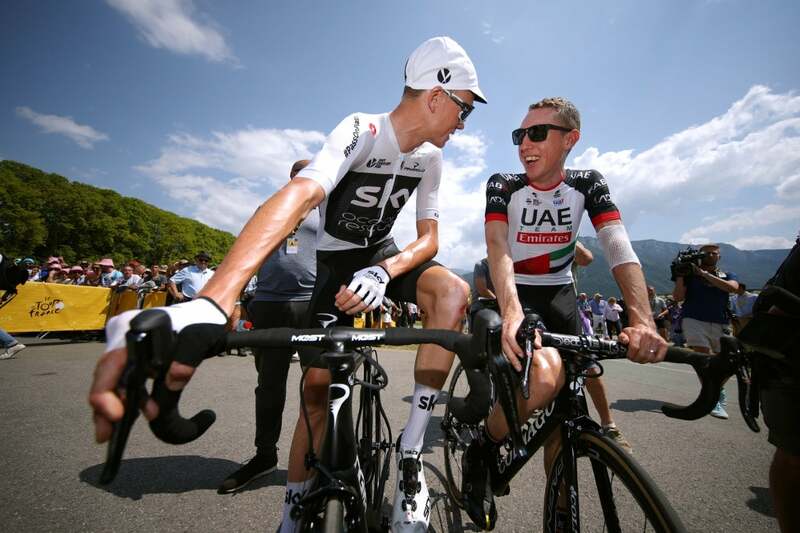 However, the steady pace, as well as a late attack by Dan Martin (Quick-Step Floors), saw Rigoberto Uran (EF Education First-Drapac) come unglued on the last climb. The Colombian, who finished second in last year’s Tour, lost more than 2:30 to the Froome group. 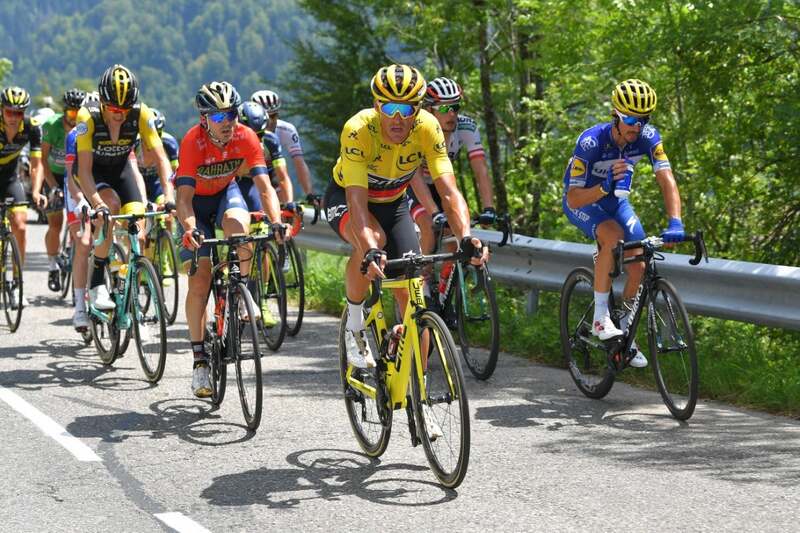 Someone from that GC group — perhaps Froome’s teammate Thomas — will take yellow from Van Avermaet Wednesday as stage 11 features four categorized climbs over 108.5km and an uphill finish on La Rosiere at the end of a 17.6km climb.